Never Turn Down An Order Again! Get APPROVED Today For Letter of Credit Financing. By filling out this form a Funding Specialist will call you today to learn about your letter of credit financing needs. In this ever-expanding global economy an increasing number of small- and mid-sized enterprises (SMEs) are extending their reach across the waters in search of new suppliers and customers. Despite their willingness to do business with American companies, most foreign companies are inclined to tip-toe cautiously into overseas business relationships due to the financial complexities of international trade. In most cases, it is nothing that a guarantee of payment secured by a letter of credit won’t solve. However, SMEs are disadvantaged because, traditionally, letters of credit have been issued by banks, which require a solid credit history along with a strong balance sheet to consider issuing one. For less creditworthy companies, some banks require a cash deposit to be held as security. Historically, most SMEs have been estranged from international trade because they can’t meet the strict credit requirements of banks, nor can most afford to tie up precious capital for several months with a security deposit. However, with the recent rise of asset-based lenders SMEs have a viable alternative for securing a letter of credit. Instead of qualifying a company based on its own financial strength, asset-based lenders rely on the financial stability of the company’s foreign suppliers and its customers to issue a letter of credit. How Does Letter of Credit Financing Work? In many respects, the process utilized by an asset-based lender is far simpler and much more responsive to the needs of the company than trying to go through a traditional bank. The company receives a purchase order from a customer for certain products. The company lines up a supplier overseas, but the supplier needs assurance the company is good for payment before shipping its supplies or products. The company submits the purchase order to an asset-based lender who reviews it for authenticity and value. The lender also verifies the reliability of the supplier and the creditworthiness and financial stability of the end-customer. The lender issues a letter of credit which guarantees the company’s payment to the supplier. When the product is shipped to the end-customer, the customer issues the customer an invoice with a copy sent to the lender. The invoice collateralizes the loan until it is paid by the customer. 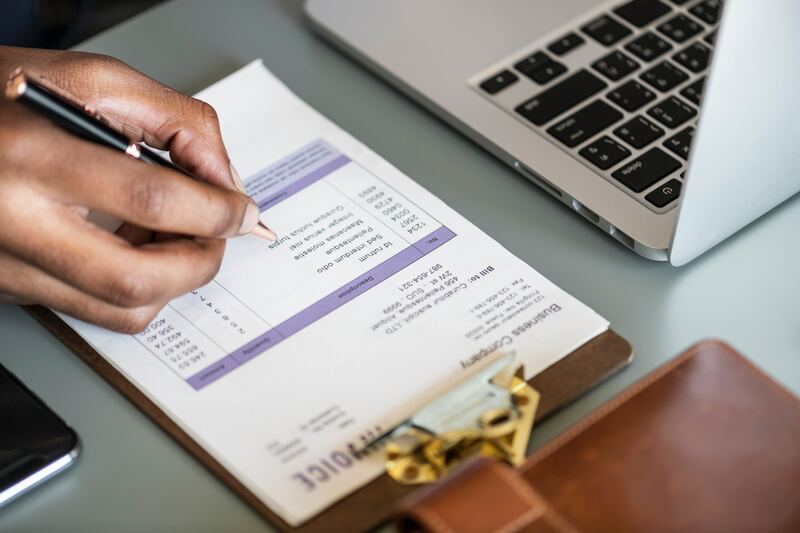 Upon receipt of payment, the lender covers its costs and fees for issuing the letter of credit and remits the balance to the company, completing the transaction. With some transactions, the company can choose to use its receivables or inventory as the assets a lender could collateralize as it might be less costly due to the reduced risk to the lender. Purchase order financing tends to be more costly because the lender assumes greater risks due to the potential for default or failure to perform on the part of the supplier. In addition to the fact that letters of credit through asset-based lending opens up the opportunities for companies to expand their reach internationally with new business relationships, SMEs can benefit in a number of ways. While a letter of credit can get a company in the door to make a transaction, it doesn’t do much to accelerate the cash flowing into the business. After fulfilling the purchase order, the company still has to wait for payment under the terms of the invoice, which could be as long as net-90 days. From the time the letter of credit is issued the time frame can span nearly six months. Meanwhile, the fees for the letter of credit continue to mount while the lender is waiting for payment. One solution would be to factor the invoice with a factoring company to accelerate the payment so the letter of credit transaction can be completed and the cash can be put to work immediately in the company. The company fulfills the purchase order and invoices the customer. The company sells the invoice to a factoring company. The factoring company advances the invoice amount holding 10 to 20% in reserve. The advance is used to repay the letter of credit issuer. When payment is received for the invoice under its original terms, the factor pays the company the reserve balance less a 1 to 3% factor fee. Another option would be for the company to establish a receivables line of credit to finance current and future receivables. Receivables financing through an asset-based lender is a lower cost way to accelerate invoice payments and can make the use of letters of credit more cost effective. With easy access to letter of credit financing, mid-sized companies can go into the international market with confidence and a clear plan for growth. Companies can leverage their successful use of letters of credit into strong reputations, which is an extremely valuable currency in the international market.